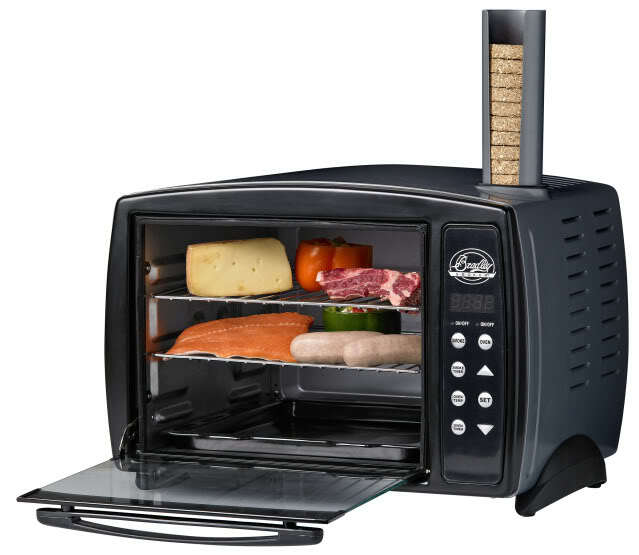 This Bradley portable food smoker has an automatic smoke generator which enables you up to 6 hours. It has convection oven heating for maximum efficiency, digital timer, temperature display and control panel. It uses Bradley's flavor fuel tablets in 12 different flavors. Ideal for all meats, fish, even vegetables, nuts and cheeses.